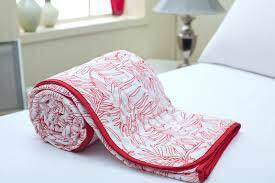 We are Uttar Pradesh, India based Manufacturer & Supplier of perfectly designed and crafted Quilt. This Fabric, Manufature by latest Technique on Imported Machines of Made in GERMANY. The entire lot is prepared as per the leading market trends and demands. Our pool of diligent professionals ensures that zero-defect Blankets reach the buyers and that too within allocated time period. Our prices are marginal. Rely on us and place orders now!